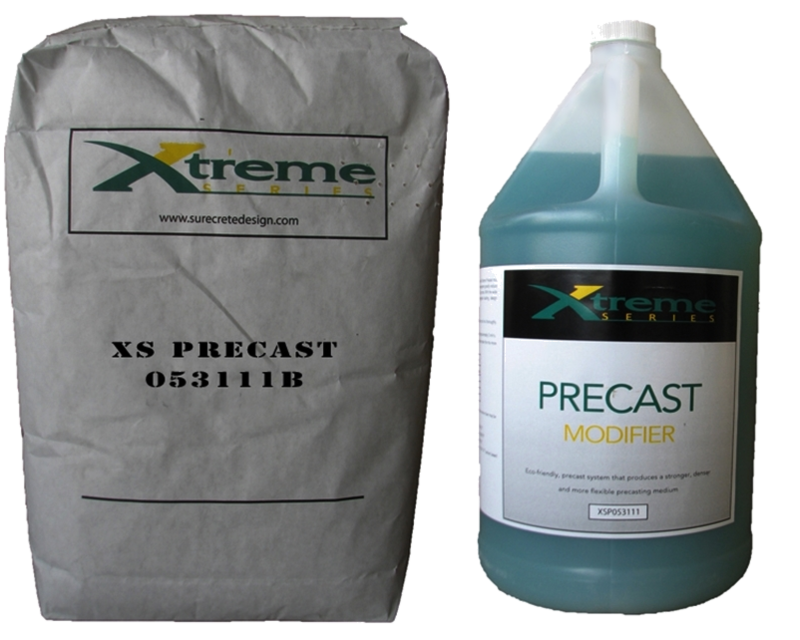 Concrete Products & Training For Commercial & Residential Needs. We have the tools, the know-how, and we’re here to help! We work with you, whether you’re a contractor or a homeowner, to make sure you have everything they need to make your project great on your first try. Decorative concrete can make a huge difference in the feel of a home. 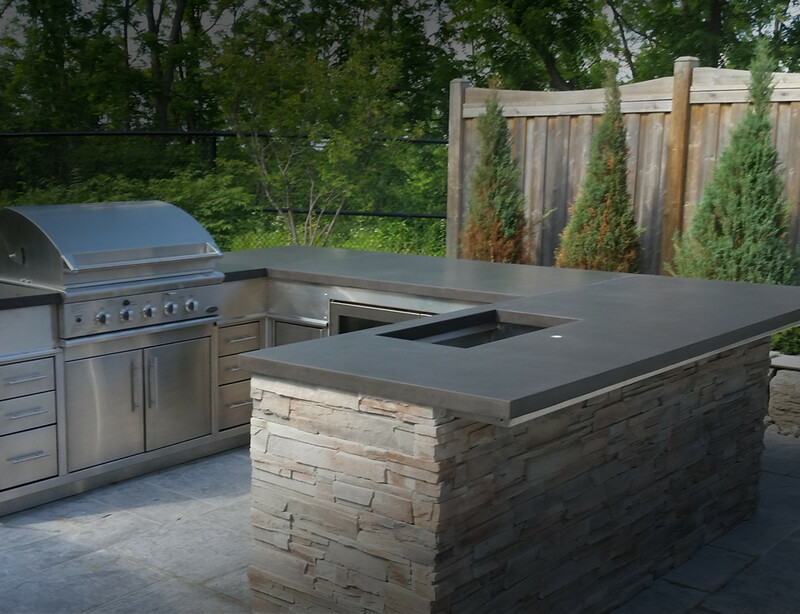 Countertops, flooring, and even patios can benefit from this striking element (not to mention its durability). Withstanding the wear and tear of kids, pets, and lots of life is what this material is made for! It doesn’t dent or scratch very easily! All it takes is a little inspiration! 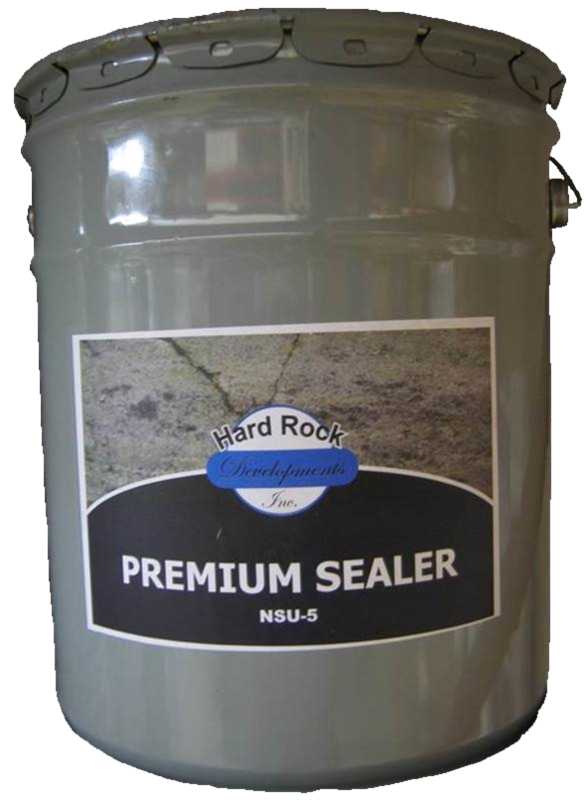 We carry numerous types of bag mixes, repair mortars, and glues for your upcoming projects. We know what’s best for different ventures and always take the time to make sure our customers are well-equipped. Kitchens are the heart of the home, where families meet to share stories, good news, and great days. The countertops need to take a beating every day while still looking fantastic. Cue concrete. Its endurance is unmatched and can be molded into any shape. Bathrooms are for more than bathing. They are the best space to relax and unwind or prepare for the day. 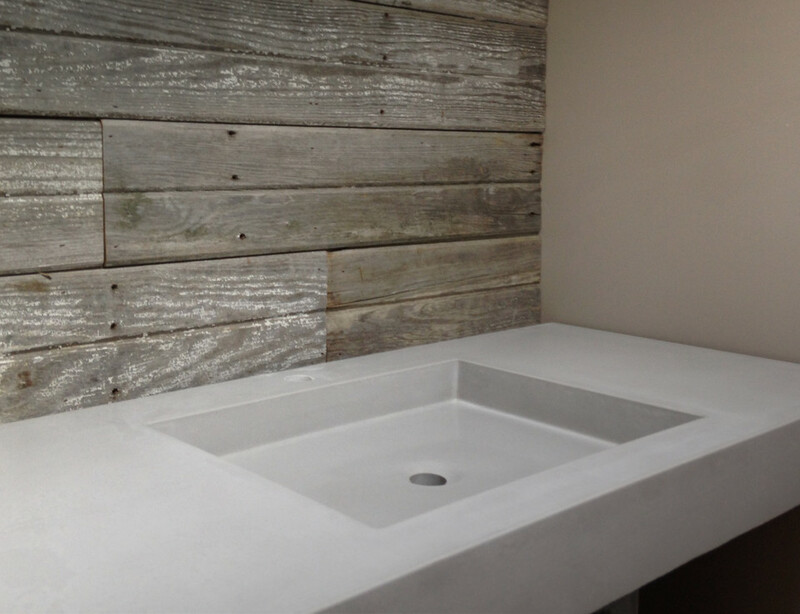 Countertops can make or break a bathroom’s look and feel. 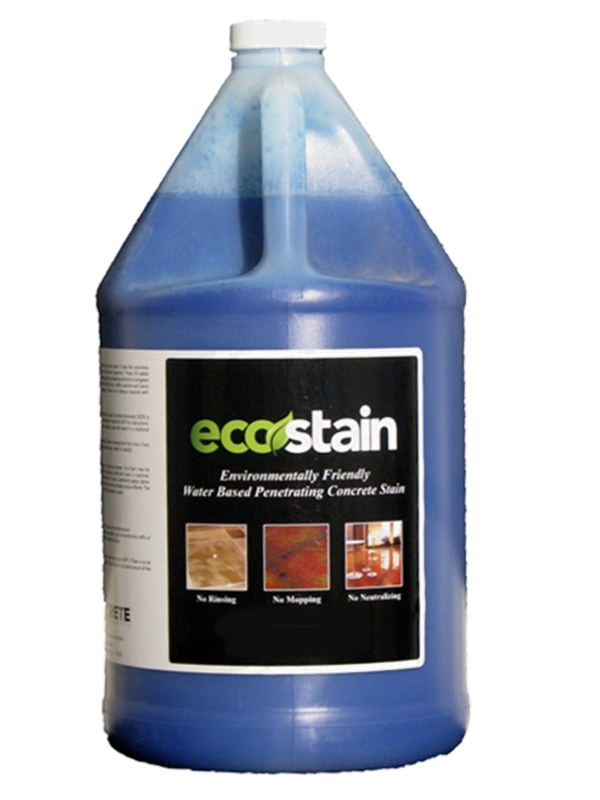 Enjoy functional beauty using our dyes and stains. 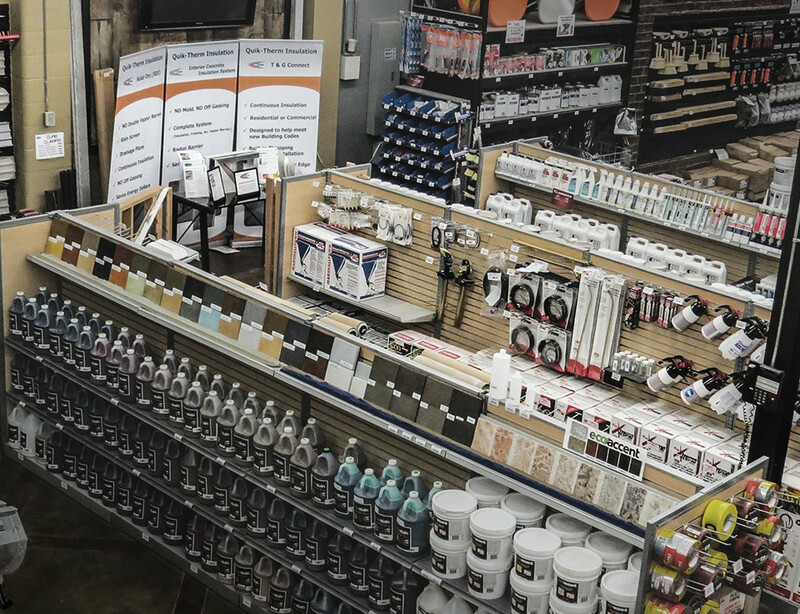 We’re well stocked with not only the bag mixes, tints, and sealers... but also the expertise! We know what mixes and finishes work best for your project. 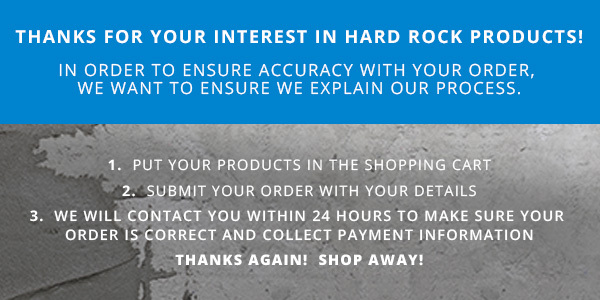 Concrete projects require their own set of tools & equipment, all available at Hard Rock. We have power equipment like our heavy duty plate tampers for a solid, smooth finish. For wet or dry cutting we have hand held electric saws and a variety of blades. Edgers, floats, and groovers help to shape the concrete while brushes and brooms keep the area clean. 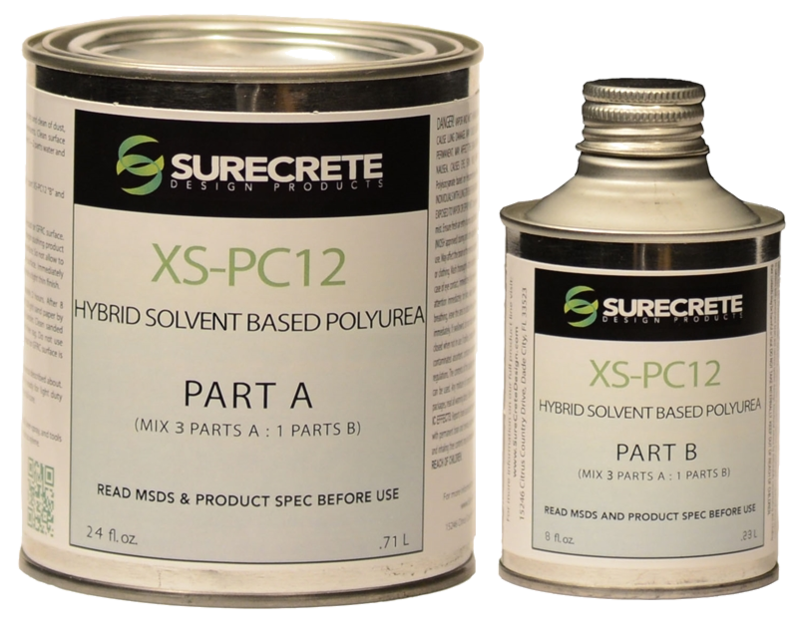 All our retarders, strippers and dissolvers are VOC compliant. Insulating concrete forms (ICFs) are made with a blend of concrete with wood fibre, polystyrene, or polyurethane. This type of insulation creates a more energy efficient home, cost effectively. We sell rebar and custom-made brackets for projects that need structural support. Our experts are pros at getting even the greenest of beginners off and running with our knowledge and tools. 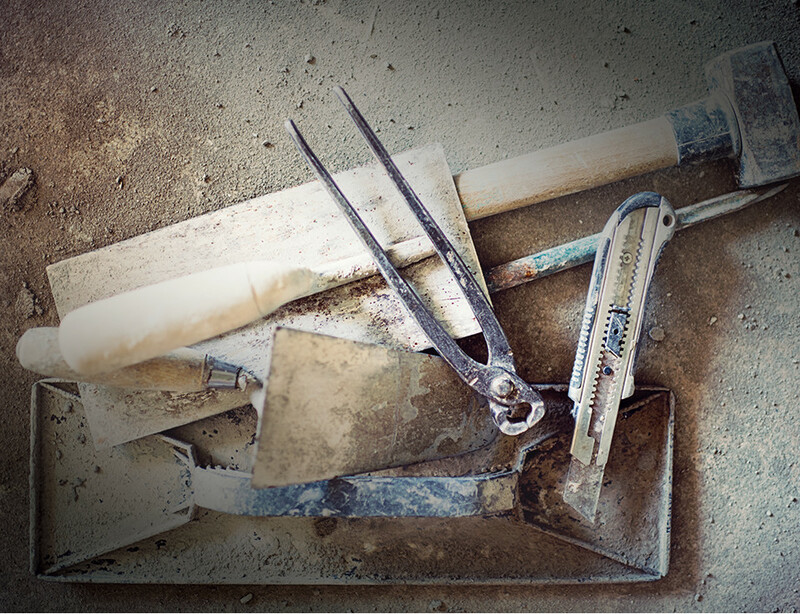 Contractors love our attention to service and the range of products we carry. Our training seminars teach concrete basics as well as more advanced techniques.